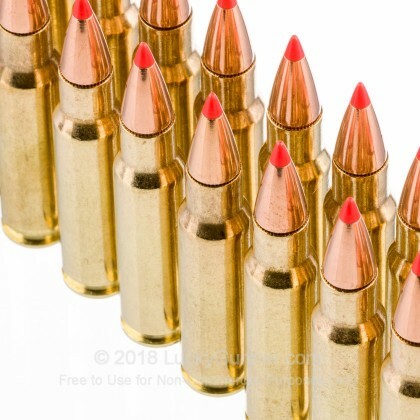 Hornady has introduced the BLACK line of ammunition for American shooters who want a "go-to" option for dependable function in semi-automatic ARs as well as custom or off-the-shelf bolt-rifles. 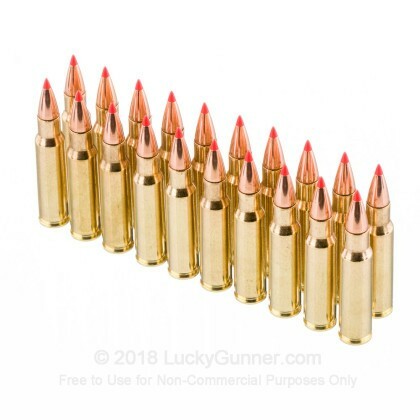 As a result, these 6.8 Remington SPC rounds exhibit a high degree of accuracy alongside impressive terminal ballistics that can easily take coyotes, deer, hogs, and other medium game animals. 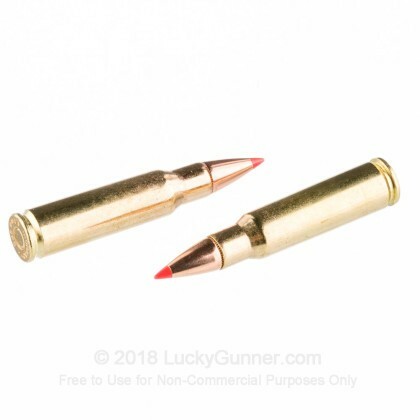 These cartridges host Hornady's own V-MAX projectiles which use a polymer tip to resist drag and initiate expansion at a wide range of impact velocities. During entry into a target, the bullet's expansion will cause to tumble and change directions yielding a wider, free-bleeding wound cavity before transferring the bulk of energy to vital organs; this translates to clean, humane kills with little chance for over penetration. 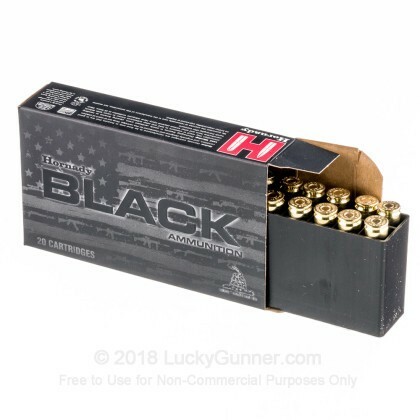 At 110 grains, these rounds will stabilize from common 6.8 SPC barrel twists and are loaded for safe function with modern chamber dimensions. Other components include non-corrosive Boxer primers affixed to factory-fresh, reloadable brass casings. 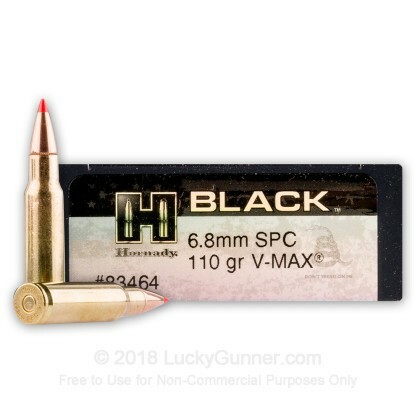 We don't have any reviews yet for this particular 6.8 Remington SPC ammo from Hornady. 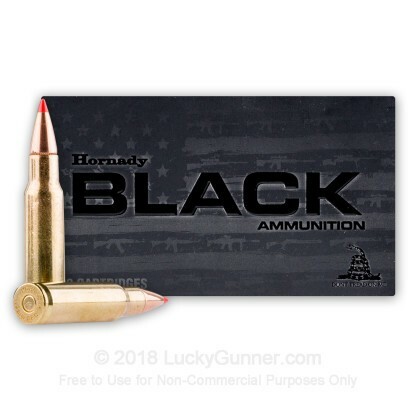 If you'd like to be the first to review this particular 6.8 Remington SPC ammo from Hornady, fill out the form below.